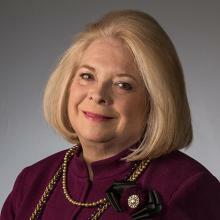 Sheila Slocum Hollis is chair of the Washington, D.C. office of Duane Morris LLP. She just completed 12 years of service on the firm’s Executive Committee and Partners’ Board. She was the founding managing partner of the firm’s Washington office and its Energy, Environment, and Resources Practice. Hollis specializes in domestic and international energy and environmental matters, representing governmental bodies and the energy industry. She represents corporations, governmental entities, and a variety of other clients in many of the major issues and challenges in energy law and policy. She is recognized by Chambers Guide (2008-present) and is AV® Preeminent™ 5.0 out of 5 rated by Martindale-Hubbell. Named one of 50 Top Women Attorneys in Washington, DC in 2014 and 2015. Received the Lifetime Achievement Award from Platts Global Energy in 2011. Named “Woman of the Year” by the Women’s Council on Energy and the Environment in 2003 and former President of the Council. Delivered the “Dean of the Oil and Gas Bar” Lecture in 2009 at the Institute for Energy Law at the Center for American and International Law. Paul Nordstrom Award in 2010 for contributions to the field of Energy Law and the Community from the Energy Bar Association and the Charitable Foundation of the Energy Bar – 2010. Cheryl Bryson Leadership Award of Duane Morris Women’s Initiative – 2012. Received the Outstanding International Alumni Award and delivered the Nanda Lecture at the University of Denver Sturm College of Law in 2012. Elected as a Fellow of the American College of Environmental Lawyers in 2012. Fellow of the American Bar and a member of the American Law Institute. International Honorary member of the Commercial Bar of England and Wales. Chambers listed 2008 – present. Fellow American Bar 1992 – present. Member American Law Institute – 1991 – present.